WELCOME to the website for the Mill at Freedom Falls. We are happy that you looked us up. Our hope in producing this site is that it will lead other people to appreciate the beauty and the utility of the old water-driven mills that were so prevalent in the northeast, serving as the focal points for their communities; and to inspire others to consider this kind of project elsewhere. Erin French's restaurant, The Lost Kitchen occupies the main floor of the original mill and utilizes much of the new foundation under the western and southern additions. Her wine store is in the foundation under the north addition, sharing space with the mill's museum. The Mill School occupies the western additions and second story of the original mill. The idea to restore the Mill, built as a grist mill in 1834, germinated several years ago. 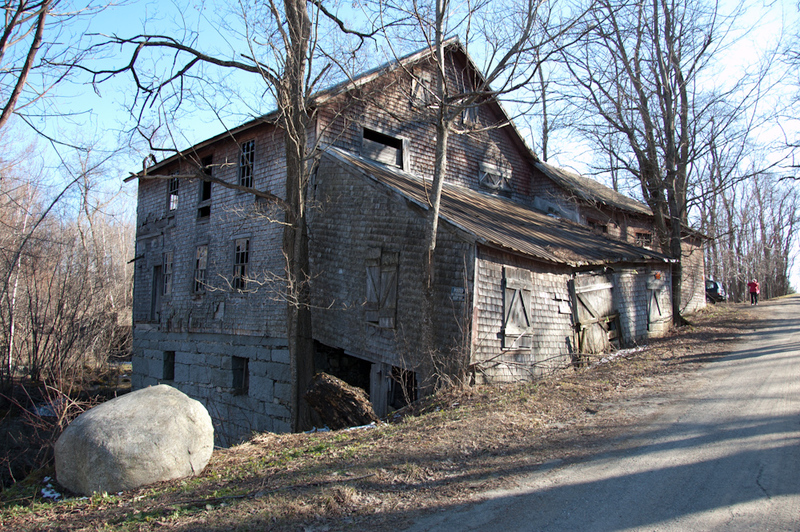 Research began in 2008; in April of 2012 the Mill was entered in the Register of Historic Places (#12000228), and on-the-ground rehabilitation began in May 2012. The rehabilitation was completed in the spring of 2013, and the building is now fully occupied. We have attempted to give you some insight into the history of this particular mill and its recent rehabilitation. If you have further questions about the Mill or the project, please click here to contact us and please take a look at our blog which chronicles the rehabilitation process.